Last night, I was in the mood for some good ole wholesome chilli but I hate canned chilli anymore. I didn’t have time to do my usual recipe in the crock pot (slow cooker) so this time I attempted it on the stove in half the time. It’s simple, cheap, and the whole family loves it, which goes along with all my family recipes “In Momma’s Kitchen”. Stir into the pot or slow cooker. Slow cooker is a much easier way to cook this and you only have to stir occasionally. I didn't have 4 hours to wait so I cooked it on the stove but had to watch it and stir often. Up to you! If you can open a few cans of beans and brown some beef then you can whip this together like anyone. It’s the perfect meal to throw together in a crock pot (slow cooker) and have ready for when you get in from work or have a few friends over for a hearty dinner party. I serve mine with my lovely cornbread (recipe to follow next week). It is sure to be a hit with everyone. For my kids I throw it over rice or baked potato depending on what they want. Buba can’t have the cornbread due to allergies so I serve his with a side of sweetcorn. Why not try mixing in your sweet corn in the chilli if your child prefers. I do this for Missy Moo. Chilli Con Carne is one of my favorite dishes especially when it’s paired with my equally as favorite cornbread. I like to crumble my cornbread on top and eat them together. Don’t have cornbread to go with it, try topping it with grated cheddar cheese or sour cream. I also like mine with crackers crumbed on top. There are so many different ways to eat this scrumptious chilli. What is your favorite way to eat chilli? Chilli is a family favourite, we love it with tortillas or crunchy tacos, sometimes baked potatoes and yes definitely rice. I really need to get out that slow cooker. Great idea as it allows you to get on with something else and I am betting this would be a good one to batch cook and freeze some for later. Beautiful photos. #TastyTuesdays. Hahah No Emma I make it homemade. I will have the recipe on my blog next tuesday! I will tag you when it’s ready, it’s super easy. I am obsessed with it. Thanks for hosting. I think I make it different every time but one of our yummy family favorites. I love it with corn chips and sour cream!!! But my hubby thinks its weird so we have it with corn bread lol! Oh no I think corn chips like a nacho chilli bowl would be super yummy. 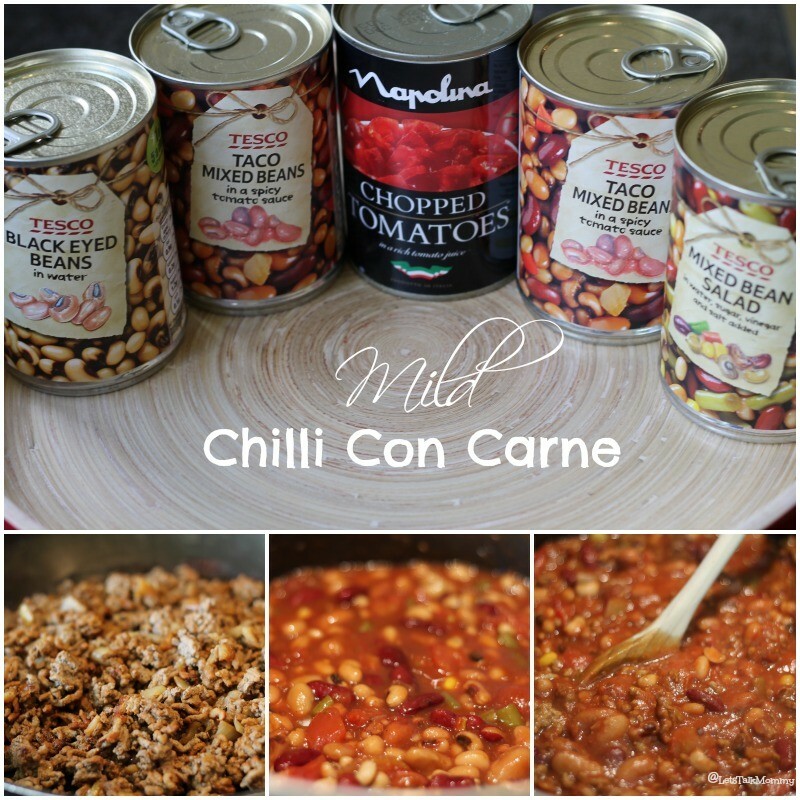 I love chilli con carne! Love that youprepared this so that children can eat it! Thanks Tina. So true. I love chilli summer or winter!! !